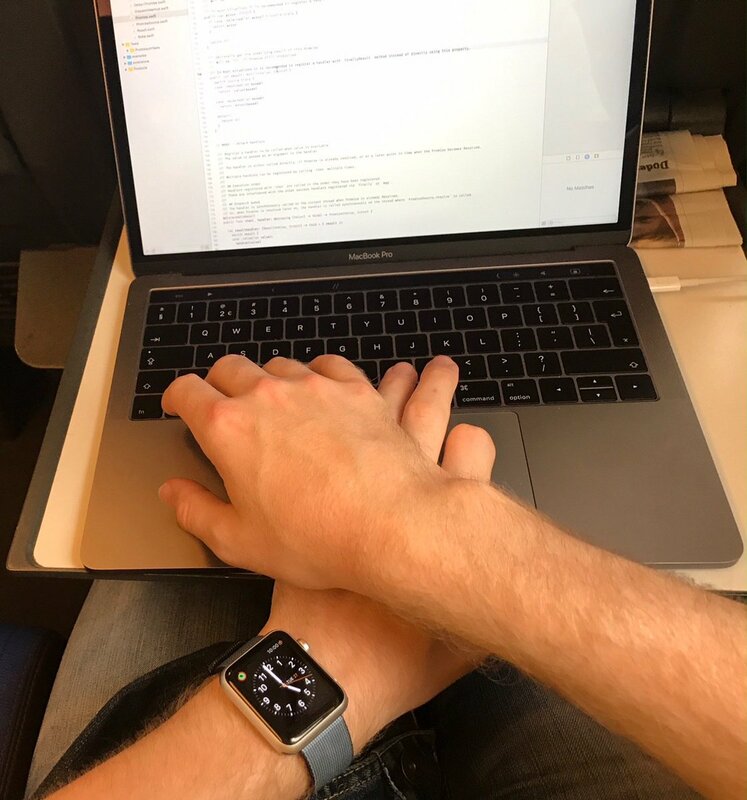 Tom Lokhorst's blog – Writings from a happy Swift coder. A recording from my talk at the Do iOS conference last month. At WWDC 2018 Apple announced that in the future it will become possible to run iOS apps on macOS. Rumours about this first appeared in December 2017 and was believed to be codenamed Marzipan. Although there is no official API or support for it yet in this talk Tom Lokhorst shows how he experimented with Marzipan and what he learned. The example project used in the talk is available on GitHub: MarzipanDemoApp. For the past four months Daniello, an intern at Q42, has worked on training a machine learning model to recognise artworks in the Rijksmuseum. Once recognised, the paintings are located in the AR camera feed and augmented using ARKit. Art recogniser Rijksmuseum from Q42. Tom Lokhorst – Building Reactive User Interfaces from CocoaHeadsNL. Mentioned in the talk, the work-in-progress Bindable library. In a lot of our code, we have structs that contain some sort of identifier. This is usually a serverside generated id, that uniquely identifies some record in a database. Sometimes these identifiers are UUIDs or Ints, but mostly they are Strings. Opaque to the client, but meaningful on the server. The scrollToPerson(_:) function is strongly typed, but the scrollToPerson(withId:) function isn’t. With this strongly typed Identifier in place, we no longer can accidentally use the wrong identifier. The generic type argument T here isn’t used in the Identifier type itself, it is only used to distinguish different identifiers. This does have the benefit of being shorter, and thus easier to write. But is it better? I don’t think this code is easier to read than the previous version with Person.Identifier. In fact, I think it’s harder to read. This is a classic case of optimising for writing code, instead of optimising for reading the code. To keep code maintainable in the long run, I thing we should strive for readability over writability. So I’ll stick with writing multiple separate types, and waiting for a newtype construct. A colleague suggested a second alternative; Using a typealias to keep te readability of scrollToPerson(withId id: Person.Identifier), but also using the generic single definition. Maybe this is a nice middle ground. Although I would throw this GenericIdentifier<T> away, once Swift gains a newtype construct.